Magne was capped 89 times for France during a 10-year international career. The openside flanker was known for his pace, flair and footballing skills. He made his international debut as a 23-year-old against Wales in the 1997 Five Nations tournament, which France won with a Grand Slam. Magne went on to star in the 1999 and 2003 World Cups - including a devastating turn in the semi-final defeat of New Zealand in 1999 - playing in every game for France as they reached the final and semi-finals respectively. Magne continued to be a central figure in the France squad and one of the most feared flankers in world rugby, racking up four grand slams with France and scoring 14 tries for the national team. But he was overlooked for France's 2007 Rugby World Cup squad as his international career came to an end. 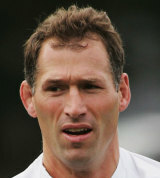 Following stints at club level with US Dax and Brive, Magne joined Montferrand in 1999 where he stayed for six years before joining London Irish in the twilight of his career.